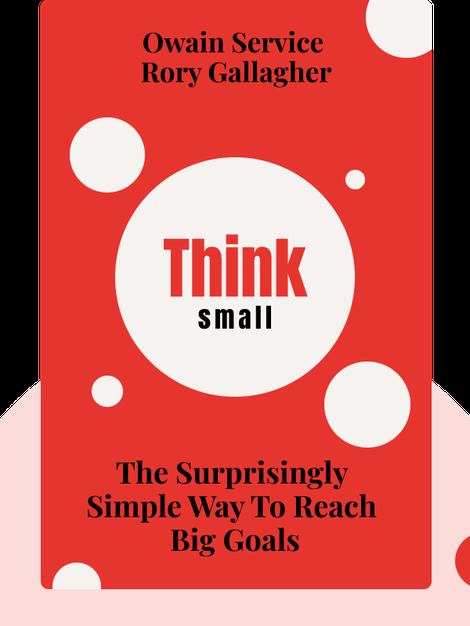 Think Small (2017) shows how small changes in the way we think and act can help us achieve big goals. Harnessing insights from behavioral science, the author sets out a seven-step program to help you make and stick to plans for improving your well-being. Whether your aim is to lose weight or to get ahead at work, this framework will help you get there. 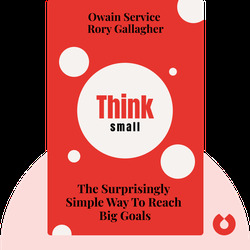 Owain Service is the managing director of the Behavioural Insights Team. This organization, created by the UK government, seeks to better the lives of citizens by applying behavioral science to policy-making and public services. Rory Gallagher is managing director of the organization’s work in the Asia-Pacific region.